As this being the Year the Family we’d like to share our family with you. This is a family run business and we consider our staff to be family. From the guides, office staff to drivers to you our guest. Sheri Griffiths hires people who share the love for the outdoors, and caries the same moral compass and standards as the family. Jose Tejada with his oldest son Arlo Tejada (current owners) bought the company in 2005 but has been a part of the Griffith family for many years. Jose started guiding for the company in 1984 and Arlo was raised on the river gear boating by the young age of 12. 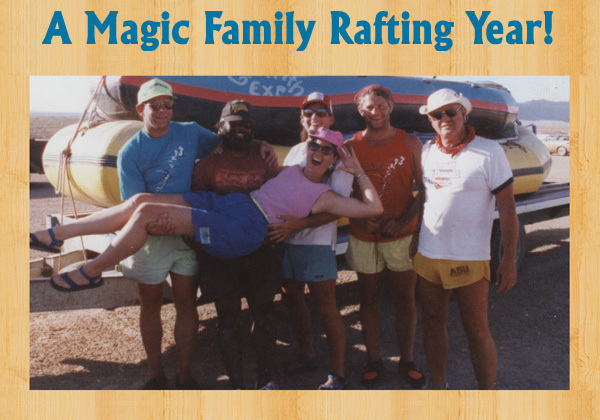 Sheri was a pioneer in the river rafting business and in the mid '80s Sheri was elected the first woman president of the Western River Guides Association, where she helped create the America Outdoors Association, giving the guiding community from East and West a common voice in Washington. Arlo is currently serving on the board and was the youngest member elected to serve and has served on the board for over 8 years. It was the common love to share the outdoors as well as preserving and protecting the river that lead Sheri to pass the family business to Jose and Arlo. What does this mean for you and your 2014 Summer Vacation? It means it is time to see why so many people love these trips. Grab some family and choose the trip that will be perfect for your family. What are our Goals for your family? Reconnection. Get to hang out with your love ones in a relaxed, fun and easy environment. Is this for your family?These are river vacations designed to allow time to spend with those that you do not get to see a lot. A relaxed pace and plenty of camp time is weaved into the itinerary of these trips. What are our goals for your family? Family Bonding on some of our more exciting and heart beating trips. Is this for your family? 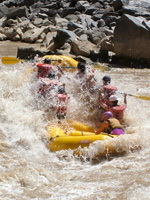 These trips offer our most exciting whitewater. 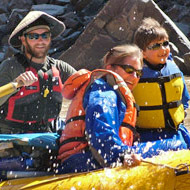 These trips are more than just whitewater we will also focus on hikes and exploring the side canyons of the rivers. What are our Goals for your family? 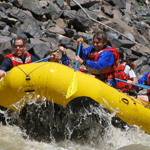 These trips allow your family to try a variety of activities in the Moab area. The all-inclusive nature of the trip means you just have to show up and the rest is taken care of. Is this for your family? This trip is for those that want to experience several activities in a short amount of time. Of course you can always extended the vacation and add on activities. Is this for your family? Great Food, no hassle, camping in the easiest style there is on the river. If you want any type of custom option we can do it.